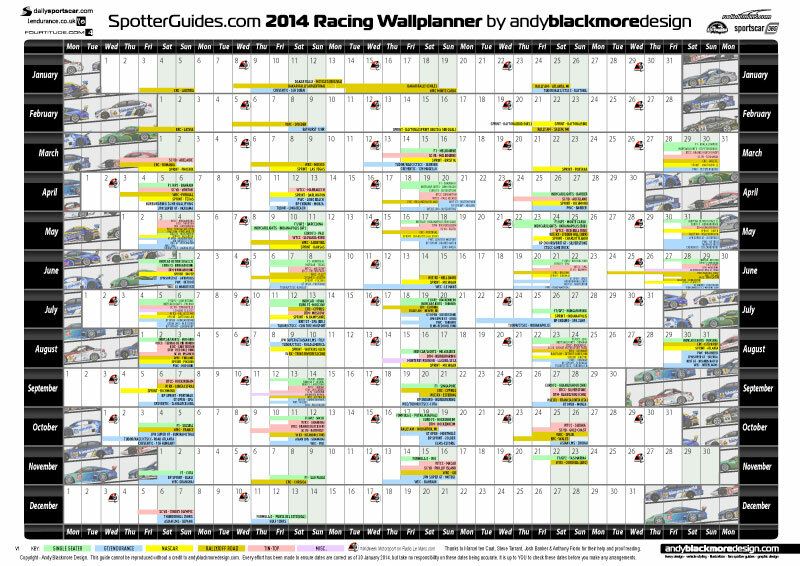 Version 2 of the SpotterGuides.com 2014 Racing Wallplanner by Andy Blackmore Design is now available to download and features most International and many national series in 2014.Each style of Racing is colour-coded with Single Seater at the top in Green and GT/Endurance in Blue at the bottom. The guide is available as a PDF which allows you to download and print at any size. Put it on a USB Stick and take it to your local Printer….or work and print it large on A2/A3 or 11×17. Version 2 updates include dates for the VLN Championship, International Motorsport Shows and the 2014 Global Rallycross Championship which announced their dates this week. 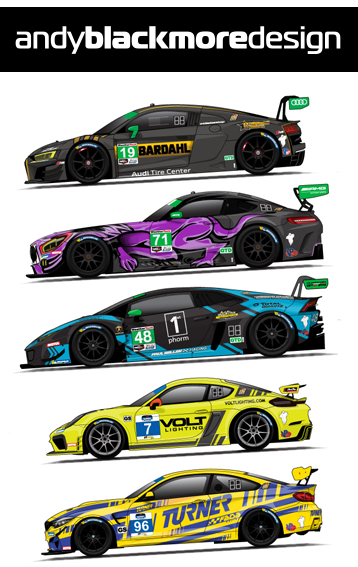 Don’t forget to visit the new Andy Blackmore Design website for all the latest racecar liveries.